What do those three words, in that sequence, bring to your mind? This question has been coming to mind lately as I reflect on this adventure we have been experiencing. If you have not read this Adventure, feel free to click the links at the bottom of this post. My last post titled "Found it", stated that we found our new church home recently. After that post, I thought about closing this "A Church Adventure" chapter of my blog. After all we weren't going to be visiting anymore church's, we were home...end of chapter, or is it??? 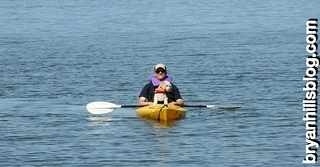 Reflecting to the past, as I was composing these posts for the Church Adventure, I really enjoyed the creative process, getting my thoughts together and posting them for who ever might endure my bad grammar and miss spellings. I was so amazed at all of the support we received during this adventure, from emails, to comments on posts and Facebook, and casual conversations with friends. We absolutely felt God's love during the ups and downs of this process. Thanks again to everyone that supported us! I will continue my therapeutic writing here, about our Church Adventure, and what we are experiencing in our new home church. During one of our recent discussions as a family about our church, we all shared something each one of us has witnessed, situations reflecting that God is at work at New Day, or what is now called Dutilh Church Mars Campus!! HE is doing great things, and continues to guide us, as we love Him, love others, and love to serve. It's with considerable clarity that God never intended this Church Adventure to end, so we will continue experiencing it, where we are, thanks to Him!!! 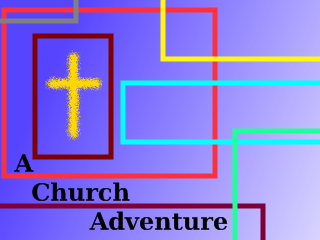 What thoughts come to mind when you hear or read these three words, "A Church Adventure"? Grace to you and peace from God, during this Christmas Season.